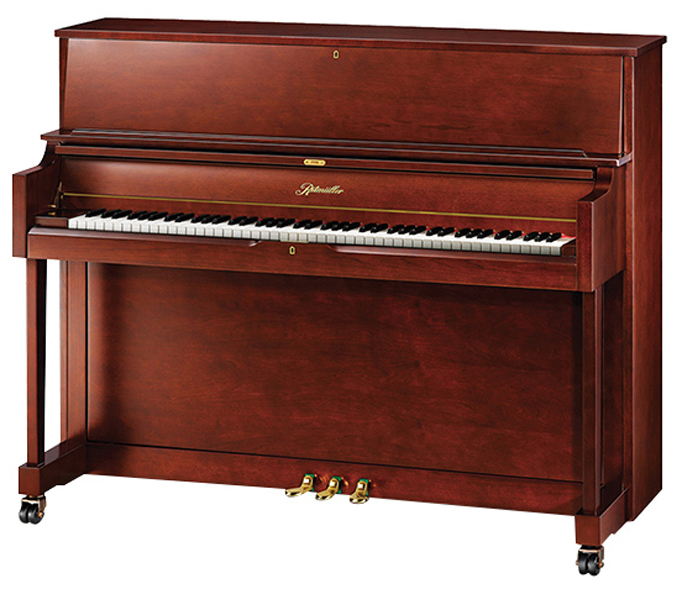 How did this venerable icon of pianos get transformed into the new darling of the modern piano world? 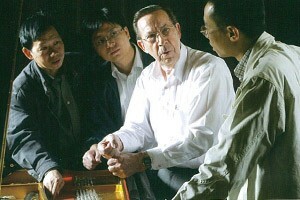 The world's largest piano maker, Pearl River received a contract from the legendary Steinway Piano Company to make a new line pianos for them called Essex. 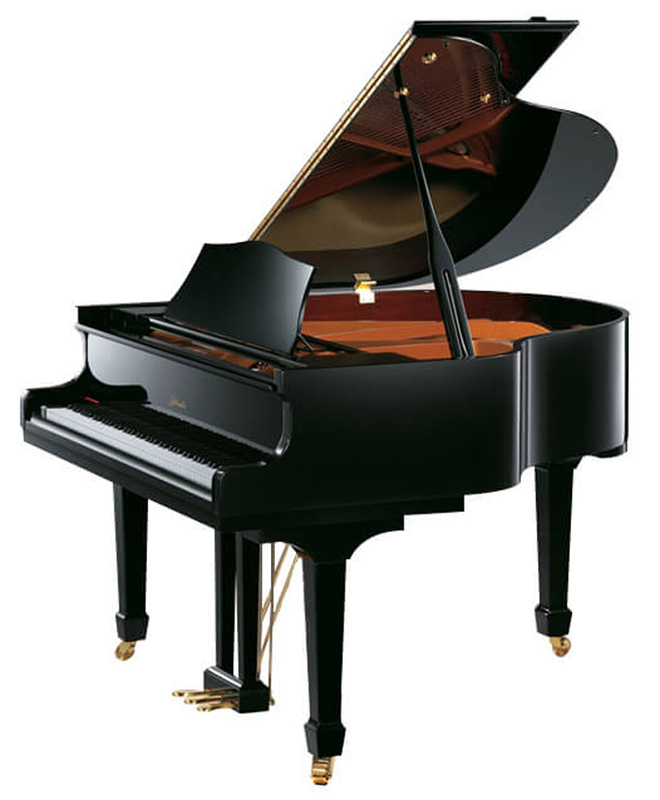 It's true the same company had been in a joint venture with Yamaha prior, but Yamaha is considered at a different level of prestige compared to Steinway. 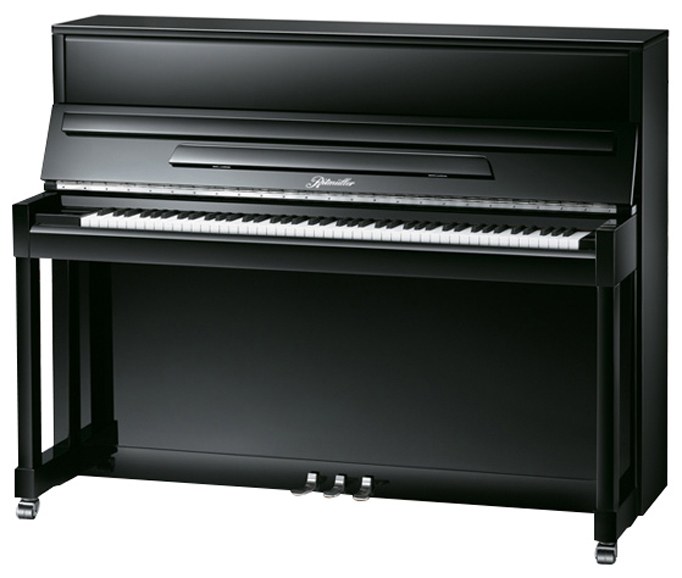 It was quite an achievement for a company that had been known for entry level pianos to have Steinway contract them to build a new line. 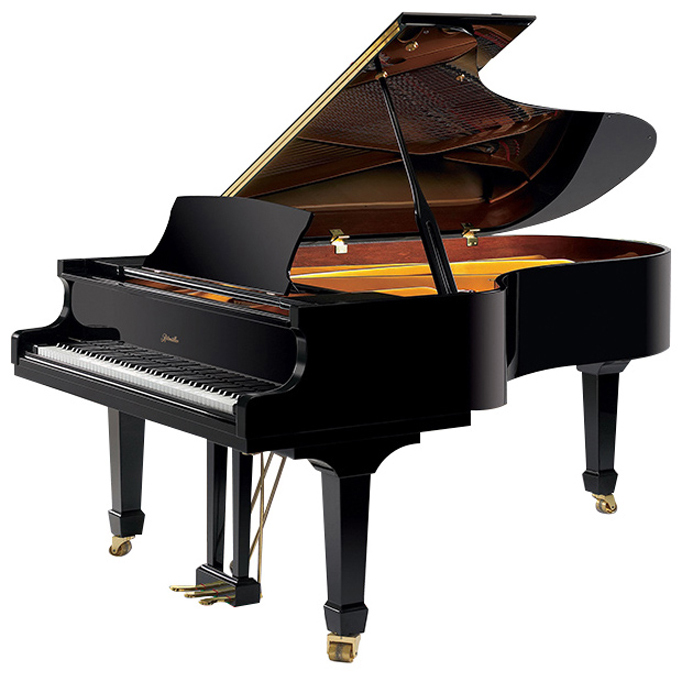 When they received the contract from Steinway it presented a slight dilemma to the chairman of the company who said , "we're not going to make the best piano we're capable of for Steinway, we're going to make it for ourselves". 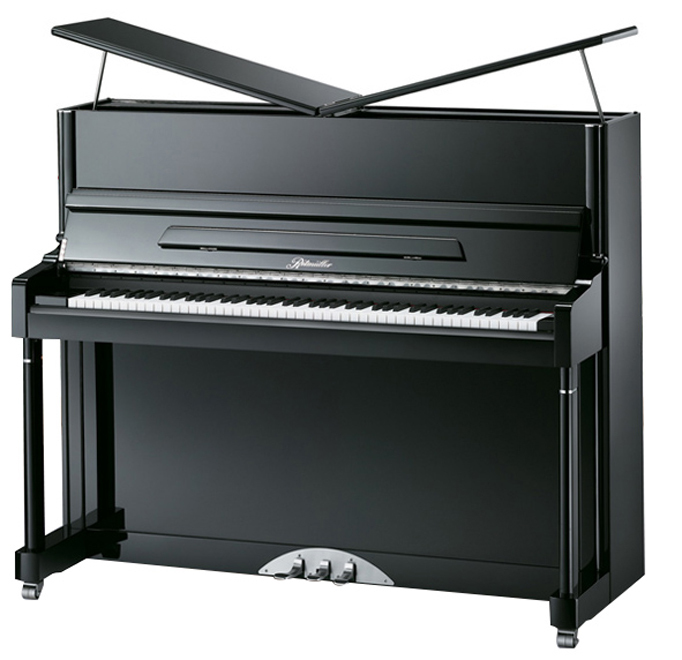 They then set out to hire top piano designer Lothar Thoma to create an entirely new line for them. After a few years of asking Thoma to design their piano, he finally agreed with the stipulation he would be in control of the piano designs, methodology and which parts went into them. 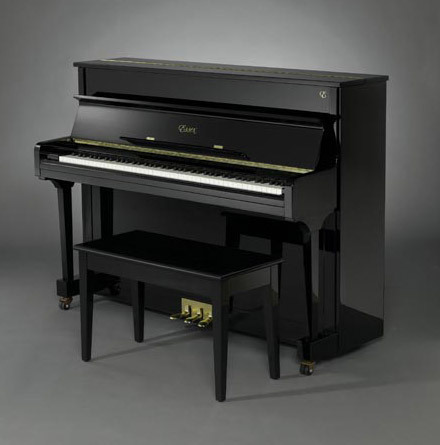 This agreement to make uncompromised quality was a bold move from China's largest piano maker now determined to be a major player on the world piano stage. 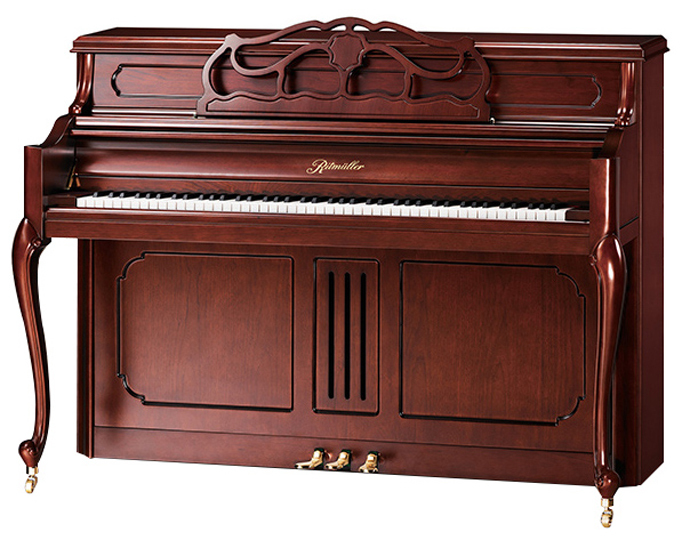 In the universe of pianos there are eight makers considered the best in the world. Mr. Thoma was on the design team or worked solo on four of the eight. 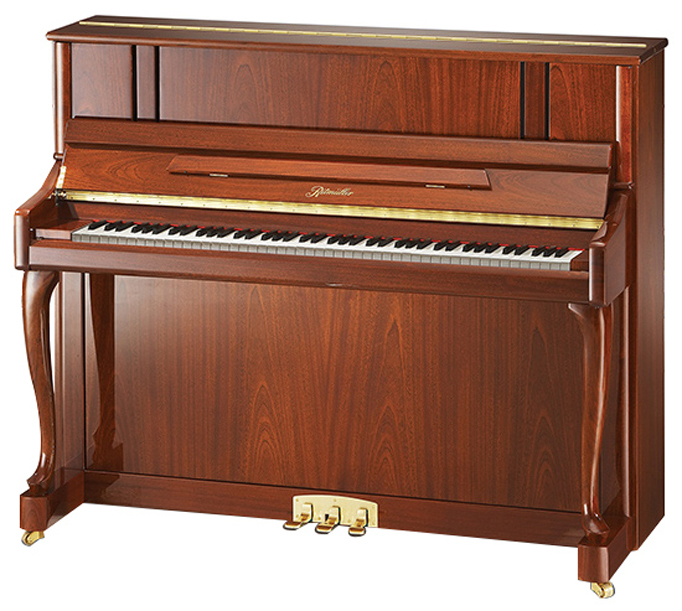 If you wanted a Thoma designed upright 5 years ago you could be looking at spending a minimum of 30K or more and a Thoma designed grand might start at $70k. 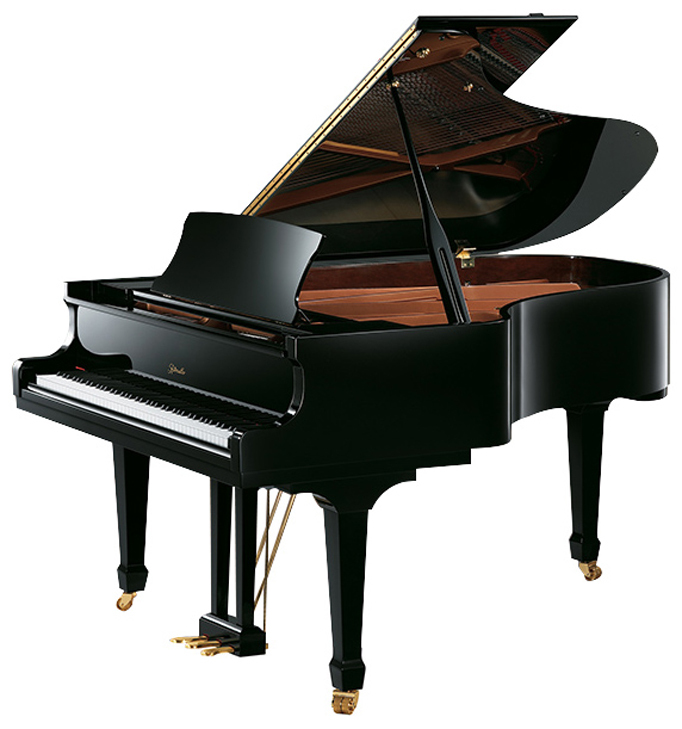 What Mr. Thomma has done with the new Ritmuller pianos is revolutionary. Why? 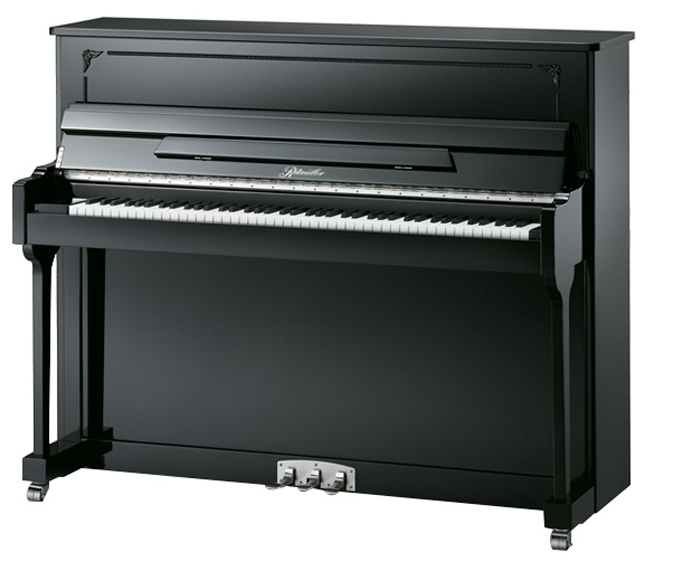 For the first time ever he's given the piano buying public an original Thomma design using European parts (in the most crucial places producing a European tone quality) for a fraction of the price of a piano fully made in Europe. 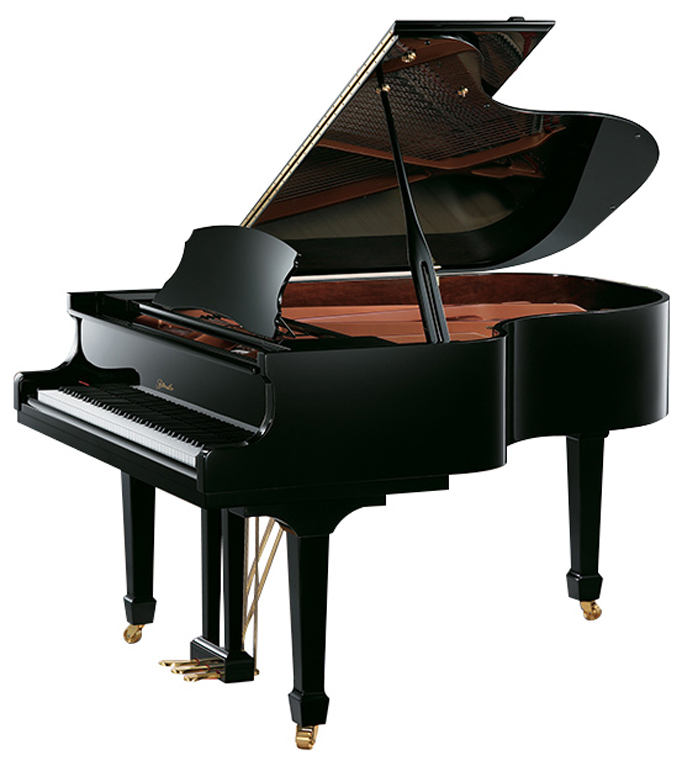 The musicality of these pianos overshadow some of the most famous Japanese branderd pianos regardless of their origin. 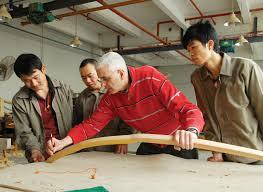 Today the Pearl River company ( the parent of Ritmuller) builds 3 distinct lines of pianos. 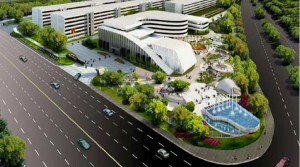 At the bottom is the entry level Pearl River brand. 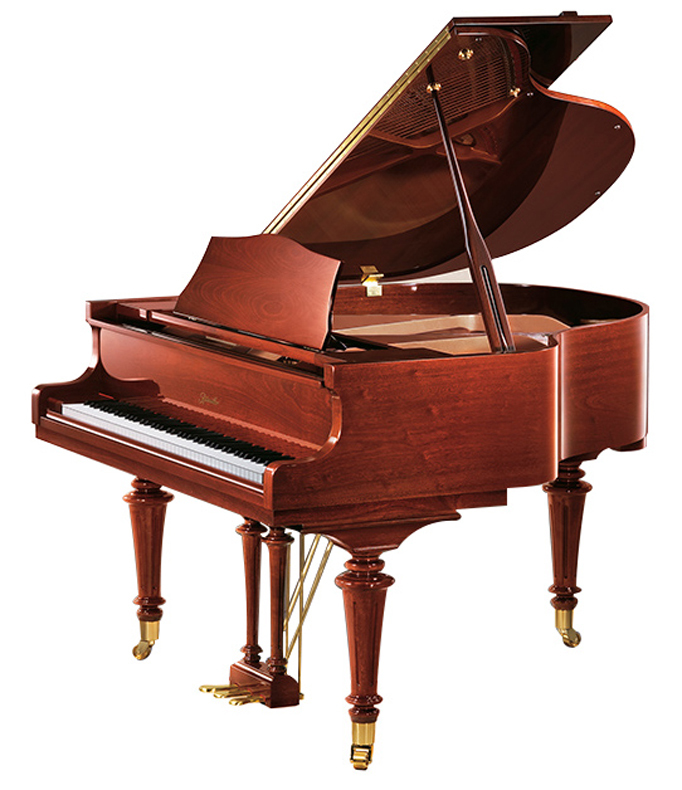 Above the Pearl River brand is the Essex brand built for Steinway. Above the Essex brand is the Thoma designed Ritmuller brand (sold under Kayserberg in other parts of the world). If we are to make an analogy to the Toyota company they have the Scion at the entry level, Toyota at a level above that and Lexus at that top. Same company, vastly different designs and result. The difference here is Essex is an O.E.M. 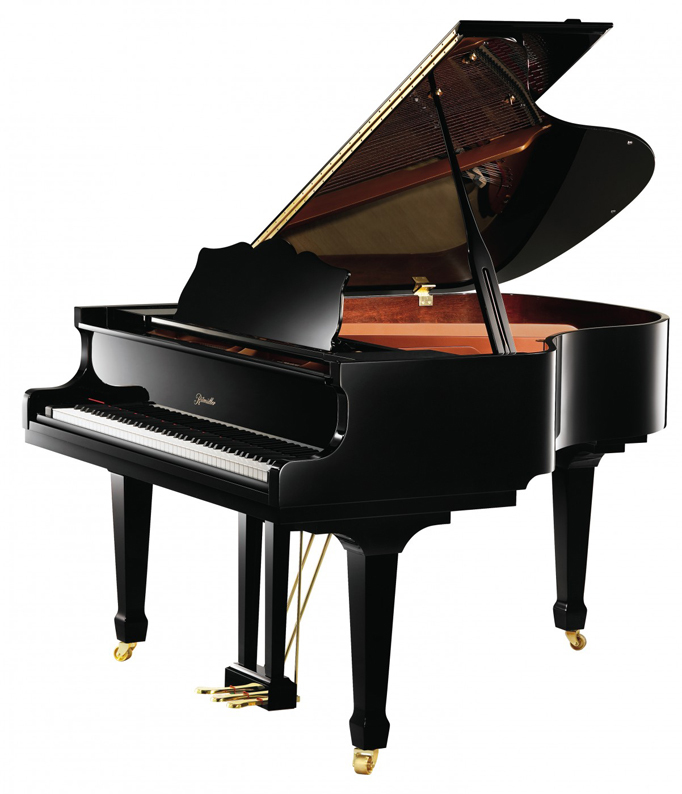 product made for Steinway who add on their mark up, making it higher priced in the marketplace than the higher rated Rittmuller (Source: ThePianoBuyer.com) . 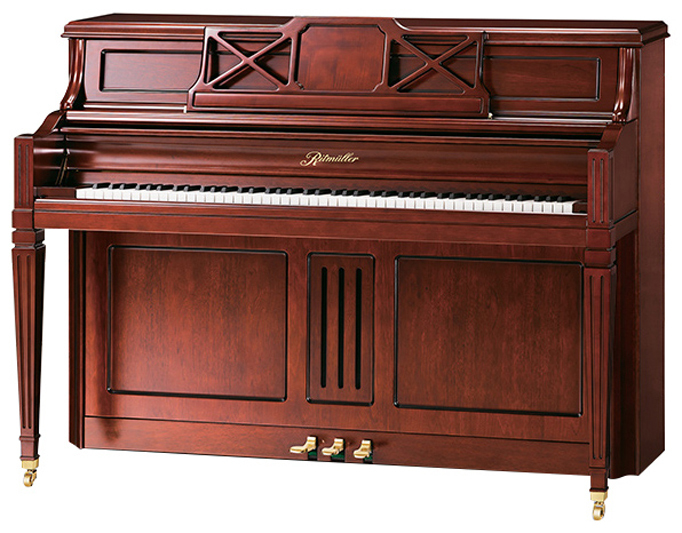 This makes the Ritmuller piano one of the most spectacular piano buys on the market. 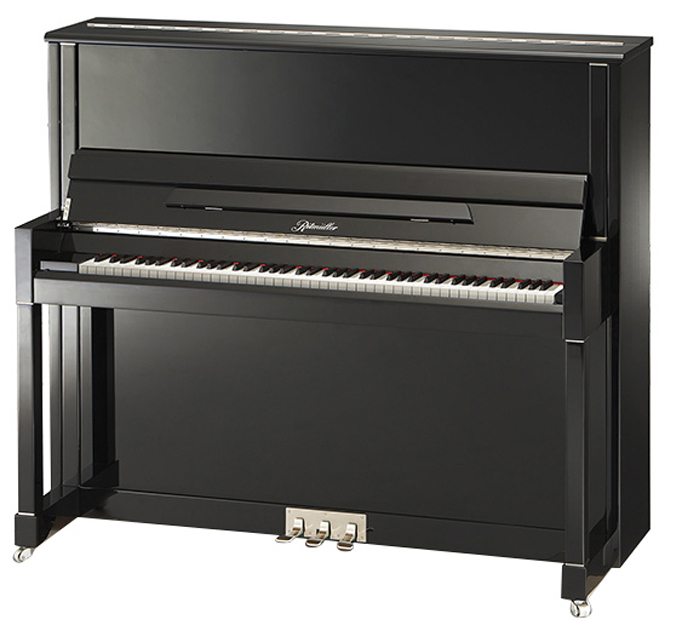 The most recent edition of the pianobuyer.com had this to say about the 48" Ritmuller when they singled it out in a staff pick..."One of our favorite vertical pianos at this price", and of the smallest Ritmuller grand, also a staff pick they said, ..."Amazingly good performance for such a small piano." 1. 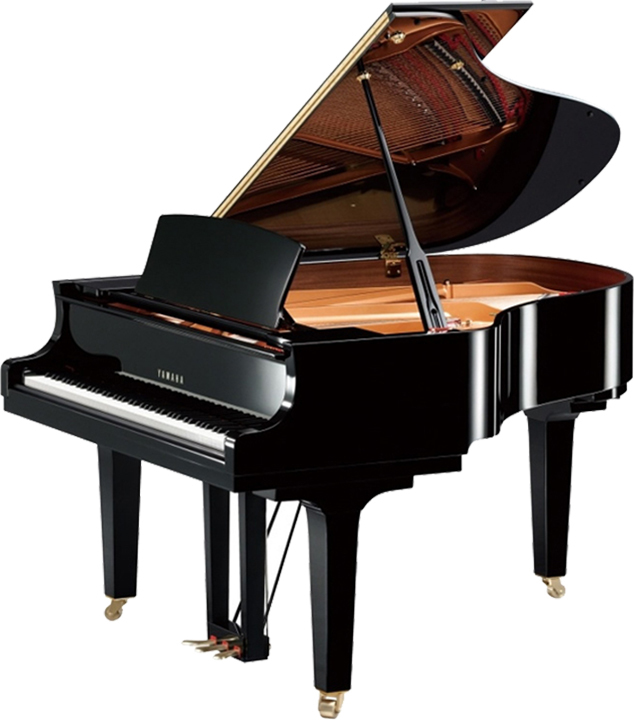 Sound Aesthetic Of High End European Pianos - For what you might pay or less for the Indonesian or Chinese made Yamaha or Kawai you can have piano that offers the musicality of a fine European made piano with long lasting treble decay and rolling bass. 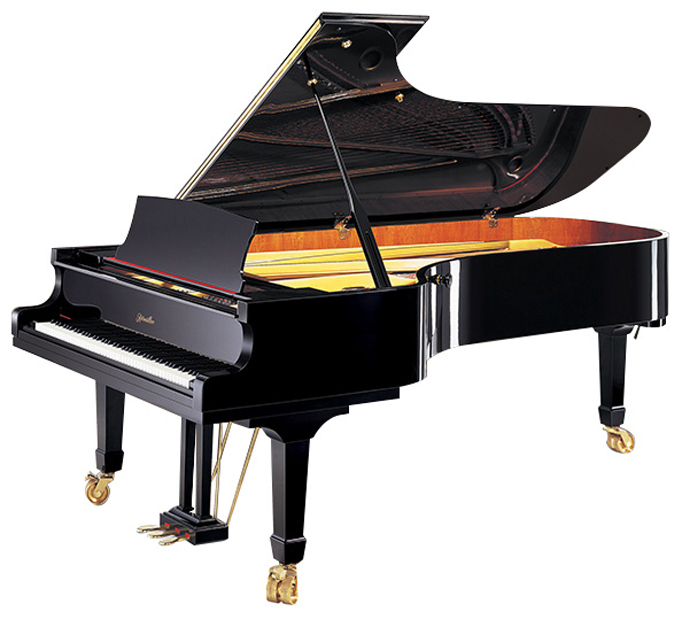 Even compared to higher end Japanese made Yamaha or Kawai uprights & grands (which these days can be as much or more than certain European pianos) costing considerably more than a Ritmuller are often outclassed by the Ritmuller's warm long lasting tone. 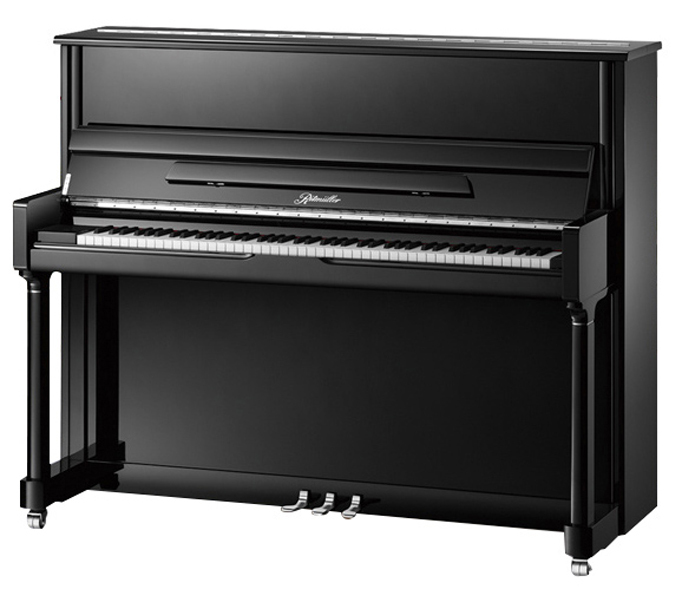 Case in point compare the Ritmuller UH132 to a Kawai K800 or a Yamaha U3 Or Yamaha U5 and you will be amazed at how much longer the sustaining tones are on the Ritmuller European design. A more musical and satisfying tone and a savings of thousand of dollars. 2. Louus Renner Hammers from Germany - Renner hammers are considered some of the very best in the world. They are the element that crates a piano's characteristic tone. Renner hammers give the Ritmuller pianos their warm round singing tone. 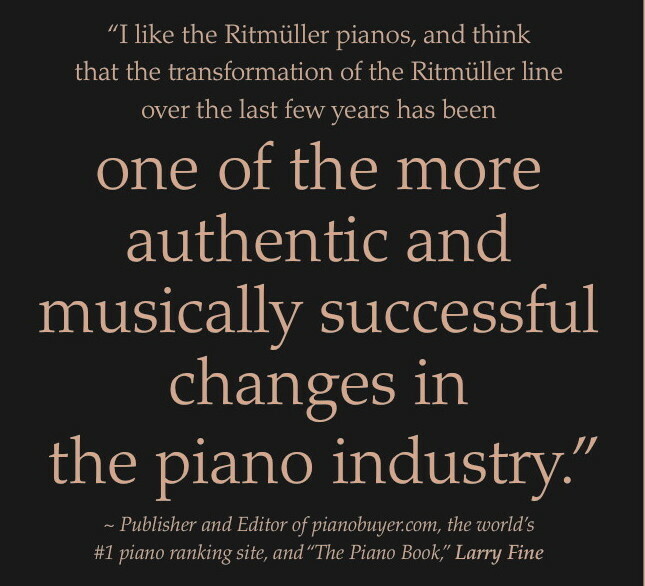 Piano technicians particularly like Ritmuller hammers for their ease of voicing. Not too hard and not too soft allowing refined and accurate voicing from note to note. 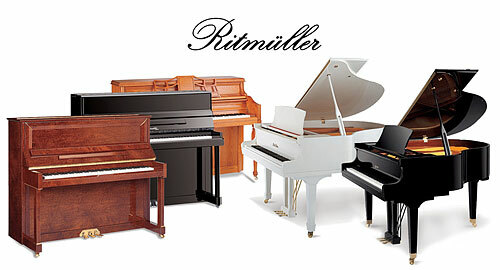 We invite you to come down and audition the amazing new Ritmuller pianos for yourself. 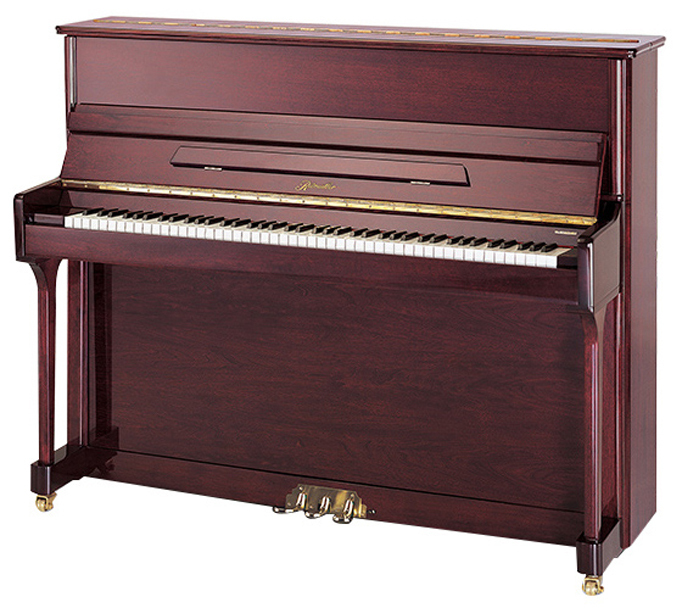 The Ritmuller piano is offering performance and sound quality of pianos costing 2 to 3 times it's price.